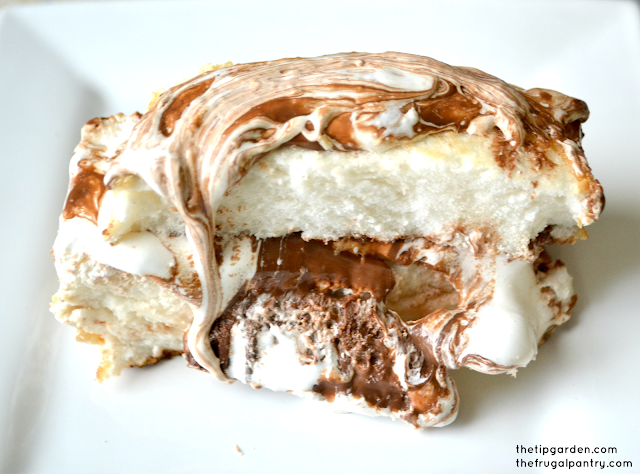 Grilled S'mores Cake is one of those super easy desserts that is perfect for summer. It's great when you are having friends over for a barbecue and you just want a simple, yet fun dessert to finish off the meal. 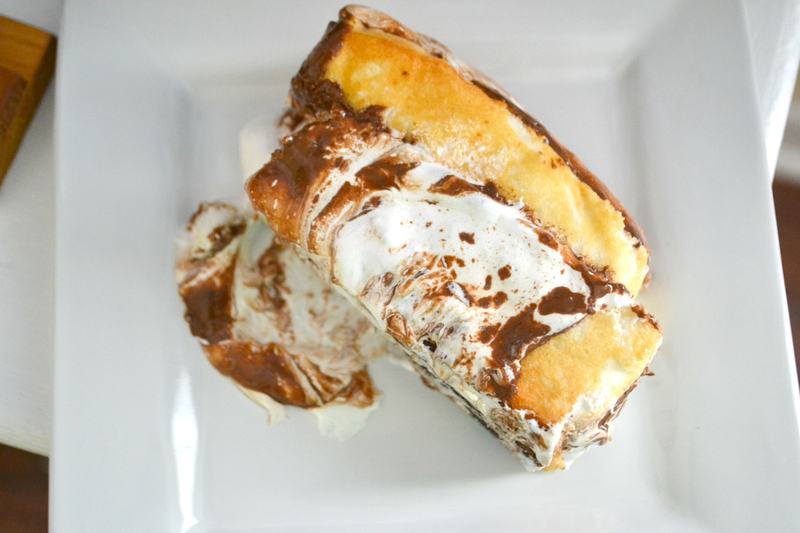 All the flavors of s'mores is wrapped up in this dessert, and only takes 5 minutes to throw together! 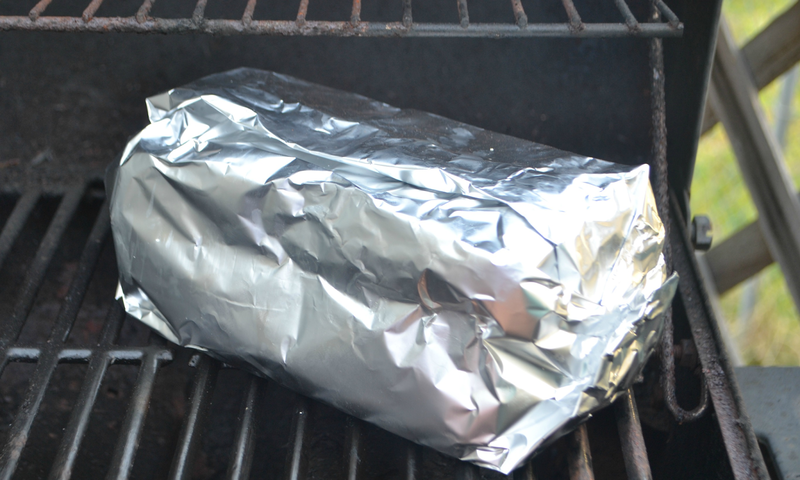 Just heat it up on the grill for a few minutes just before serving, ,and bam, your done! It's also great to take to a barbecue when you are in charge of dessert! Directions:Slice cake in half length wise. 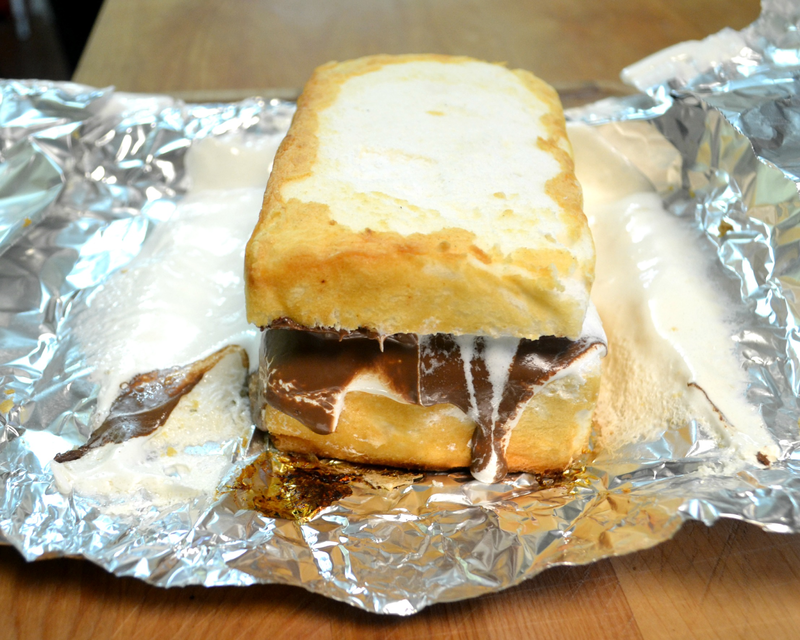 Spread entire container of marshmallow crème onto bottom slice of cake. Replace top slice of cake onto chocolate bar. Wrap entire cake in foil. Open packet, slice and serve warm.